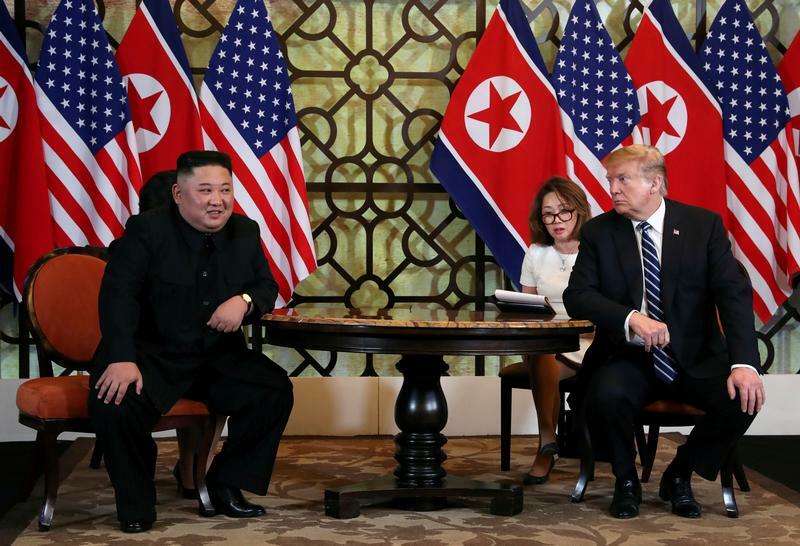 The U.S. president said talks ended abruptly without a nuclear deal because North Korea wanted sanctions lifted for too little in return. Seoul markets understandably shuddered. A pause, however, provides time to think through the effects of an economically stronger Pyongyang. U.S. President Donald Trump looks towards North Korean leader Kim Jong Un during the one-on-one bilateral meeting at the second North Korea-U.S. summit in Hanoi, Vietnam February 28, 2019. U.S. President Donald Trump said on Feb. 28 that he walked away from a deal with North Korean leader Kim Jong Un because of unacceptable demands to lift U.S. sanctions in exchange for limited denuclearisation. South Korea's Kospi Index closed down 1.7 percent while the Korean won weakened and benchmark yields rose.